Title tags are critical because search engines not only use them when deciding what a web page is about, but they also appear in search results as the first line “Title” of your listing. Think of title tags more as a "Title Keyword Tag" and include keywords that users would likely search for to find the content on that page. Keep them short and sweet. They are the first thing people searching for your site will see, and can never be more than Google’s limit of 69 characters, including spaces. Description tags are right behind title tags in importance. Each search engine allows for a specific number of characters (including spaces) to be shown beneath your page title in search results listings. These bits of your web page that appear in search results are known as “snippets.” Description tags will often be the text search engines choose to display as your snippet, and can have a big impact your search traffic. Writing your description tag to be completely within Google’s limits means you have control over what appears. Aim for one that is between 100 and 156 characters- so that it both reads well, and fits well. The keywords used in your title and description tells your targeted audience this page is what they are looking for. Users searching for particular words will naturally first examine page titles, but if they still cannot determine which site best addresses their needs, they then turn to the most relevant page descriptions. By placing 1 to 3 keywords into both your title and description (which will appear in bold in the description tag if they match the search term), you’re assuring search users that your site isn’t in their results by mistake, but because it’s what they are searching for. You should always write them, and the page they are on, with 1 to 3 very specific keywords or key phrases that are also used within the content of that page. The title and description tags should always be specific to the page they are on and contain key words or phrases also found in the page heading, and the first one or two paragraphs of that page. Google compares words and phrases in your title tag and description tag with page content to be sure they are “relevant.” It will ignore your tags if they are not. 3. Write with flair, but be accurate. Your primary goal is to write something that will entice people to click thru to your website from your listing in Google. 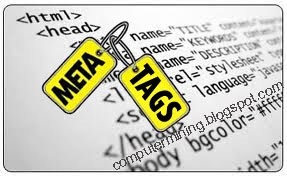 Your tags need to be attention getting, as well as an accurate description of what users can expect to find on that particular page. One easy way to do this is to have your title and description tags mirror the opening paragraph of the page they are on, but be shorter: more concise and more dramatic.